Amazon's marketing engine is gearing up for the holidays. 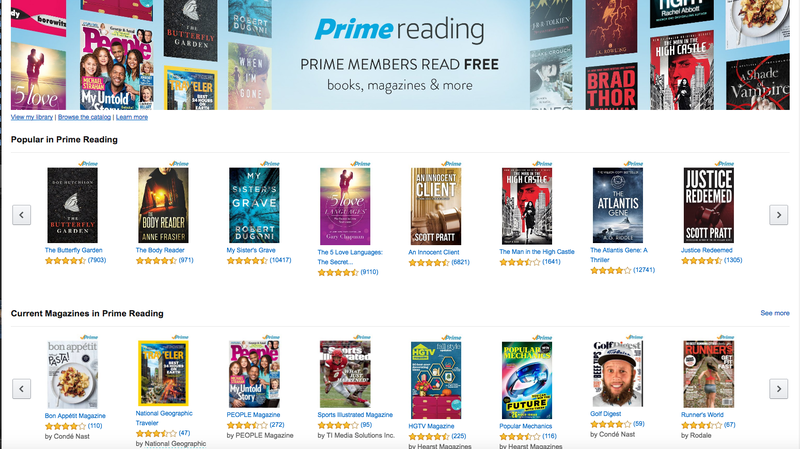 Amazon recently introduced Prime Reading, a new reading benefit for U.S. Prime members. Bridging another segment into the Amazon Prime family. 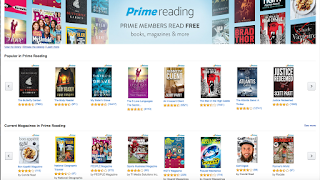 The $99 Prime membership adds unlimited reading from a rotating selection of books, magazines, comics and more – at no additional cost. 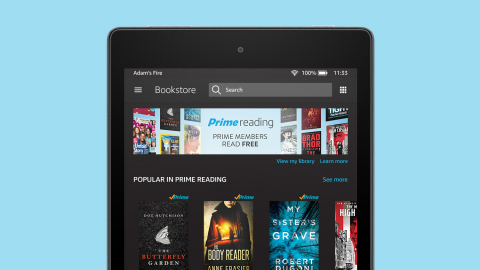 Believe it or not, No Kindle device required – Members can enjoy using the free Kindle apps for iOS and Android as well as from any Kindle or Fire tablet. The member can Enjoy best-selling Kindle books including The Hobbit, Harry Potter and the Sorcerer’s Stone, The Man In the High Castle, The Millionaire Next Door, Half Way Home and When I’m Gone, comics such as The Complete Peanuts Vol. 1 and Transformers: Robots in Disguise Vol. 1 as well as short works including Kindle Singles from Andy Borowitz, Stephen King,Jane Hirshfield and classic works from Gloria Steinem, Norman Mailer and Kurt Vonnegut.